Visit Little Water Cay, the only place in the world where you can see the endangered rock iguana in its natural habitiat. Frolic in the waves with Jo Jo, the island’s resident bottle-nose dolphin. Much loved by the islanders, Jo Jo has been proclaimed a National Treasure by the government. 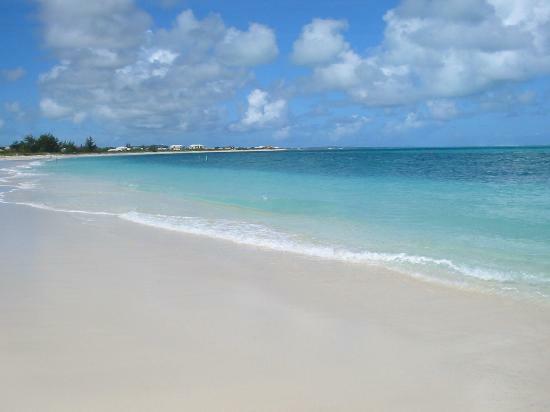 On the north shore, stroll the length 12-mile-long beautiful Grace Bay Beach, the highlight of a stay on Providenciales. Visit the Turks & Caicos National Museum and discover the Molasses Reef Wreck, the oldest European shipwreck excavated in the Western Hemisphere. This shipwreck sat on the reef undisturbed for more than 450 years. Tour the Caicos Conch Farm, the world’s only sea farm that raises, “Caribbean Queens fit for a King.” The farm exports the conch to top chefs. This entry was posted in Caribbean, Turks and Caicos and tagged Caicos Conch Farm, Grace Bay Beach, Jo Jo, Little Water Cay, Molasses Reef Wreck.